The most perilous pitfall for a tour de force is that the tour can come off as forced. Alas, Telegraph Avenue, a lengthy opus of virtuosic language and ambitious, potentially riveting themes, tumbles into that very pit. Its dazzlingly complex sentences too often come across as self-conscious flourishes, and its ideas, gussied up in jazzy garb, ultimately feel slight. My disappointment in this book saddened me. 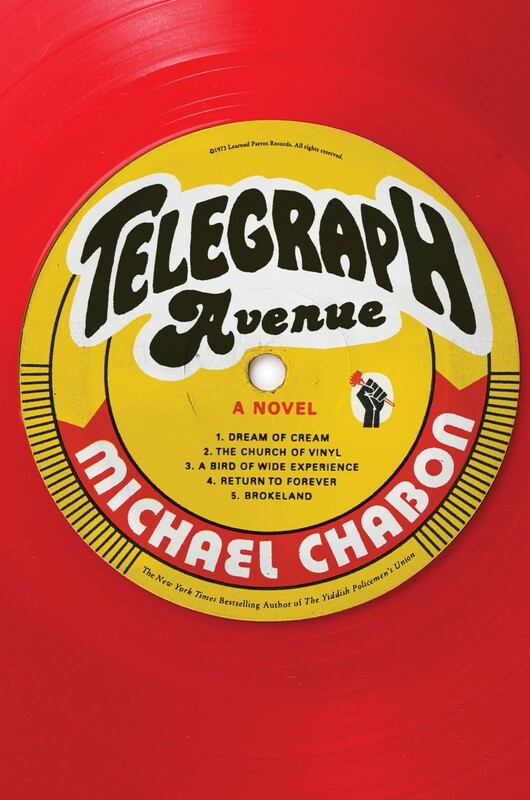 I know without a doubt that Michael Chabon is a major talent. His novel Wonder Boys is near the top of my list of brilliant American comic novels of the past 50 years, right up there with Portnoy’s Complaint and Richard Russo’s Straight Man. Wonder Boys is a laugh-out-loud masterpiece that deftly lampoons literary ambition and its evil twin, self-defeat. The prose is nimble, the dialogue witty and the plot just loopy enough to be transformed virtually intact into that rare product, a truly funny Hollywood movie. Others of Chabon’s books, especially The Amazing Adventures of Kavalier & Clay, have left me fully satisfied—that is, when I could pick myself up off the floor after rolling with laughter. Now, the reader may know who Nat Jaffe is—Archy’s partner in ownership of a vintage record store—and he may know that Dogpile is the name of an incoming rival store, and there is even a chance that the reader has heard of one or two of the jazz musicians in the extended (to say the least) metaphor. But this is a typical Telegraph sentence that baffles more than it illuminates, that appears so sealed off in its niche world that the reader feels less inclined to reach for Wikipedia to sort it out than to reach for a stiff drink to blot it out. I was with him right up until he got to those Egyptians, and then I needed oxygen. Blue Area of the Moon in MTO? Help! I’m feeling really, really uncool, so uncool that I don’t have the foggiest idea what I am supposed to be thinking here. I am starting to suspect that I am definitely the wrong reader for this book. But I read on. And that is not only because I know that Chabon is whip smart, encyclopedic in his knowledge and famously insightful, but because he has taken on a subject that happens to be of great personal interest to me: the relationship between American Jews and African Americans. (I am a Jew who went to high school with a large contingent of blacks and who worked as a writer for several black comedians.) I know that this can be a complex relationship, loaded with both profound commonalities and an inevitable wariness, and that it is a constantly changing relationship. Telegraph Avenue appears to promise some original and up-to-date insights on this absorbing subject. The main characters of the novel are Nat and Aviva Jaffee and their son, Julie (all Jewish) alongside Archy and Gwen Stallings and Archy’s illegitimate son, Titus (all African American). These two families’ lives are thoroughly intertwined: Nat and Archy are partners in the aforementioned record store; Aviva and Gwen are partners in a midwifery practice, and Julie, who is gay, has a mad crush on Titus, who is not. A fascinating and totally believable set-up of characters and relationships, especially as the story is set in Oakland, California, in the first decade of the 21st century. Chabon set himself the task of writing about the deep and complex friendships between these black and Jewish families without trespassing into sentimentality or lapsing into moral discourse. From the first chapter, we feel confident that the author is too skilled and sophisticated to bring ethnicity and race front and center in his story, but will keep them ever present in the background, only rising to the surface at critical junctures. All of this seems very promising indeed. Yet in the end, that promise is not kept. There are moments of illumination, but none that impress or astonish. And that is for the simple and unfortunate reason that it is extremely difficult to engage in these people’s lives. Because the story is parceled out in small increments slipped in between Chabon’s unbounded verbal riffs and mile-high metaphors, it develops at an extraordinarily slow pace and, as a result, the drama—including the racial drama— never resonates with any kind of immediacy. While being dazzled with all the verbal pyrotechnics, the reader loses focus on the characters’ lives and, along with that focus, an involvement and investment in them. The jazz drowns out the story, and only the prosody lingers on. Daniel Klein’s newest book, Travels with Epicurus, will be published in fall 2012.